​TENNIS CLUB AT BIG SHANTY! IMPORTANT INFO: TENNIS CLUB STUDENTS GO FROM CLASS TO ASP MONDAYS 2:15 - 2:45, AT ASP THEY ARE GIVEN A SNACK & ENCOURAGED TO DO THEIR HOMEWORK. THEN STUDENTS ARE TAKEN TO THE TENNIS CLUB WHICH STARTS AT 2:45. STUDENTS ARE TAKEN BACK TO ASP AT 3:45 AND THEN AVAILABLE TO BE PICKED UP. CAR RIDER PICK UP WILL BE FROM ASP 3:45-4:00. TENNIS CLUB STUDENTS ARE CHARGED A DISCOUNTED ASP RATE OF 3.50 IF PICKED UP BY 4:00. STRIKE TENNIS COACHES HAVE A FUN & EXCITING WAY OF TEACHING TENNIS SO THAT EVERY STUDENT IS ENGAGED & SUCCESSFUL! LOW STUDENT : PRO RATIO IS 5-7 STUDENTS : 1 COACH! STUDENTS GET TO HIT A LOT OF BALLS! 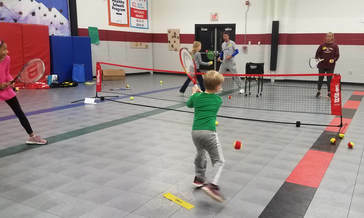 COACHES TEACH CORRECT GRIPS, FOREHANDS, BACKHANDS, VOLLEYS, FOOTWORK, THE SERVE, STRIKE ZONE, SCORING, SPORTSMANSHIP & PLAY FUN GAMES LIKE TENNIS HOCKEY, TENNIS BASEBALL, TEAM DOUBLES, & LOTS MORE! 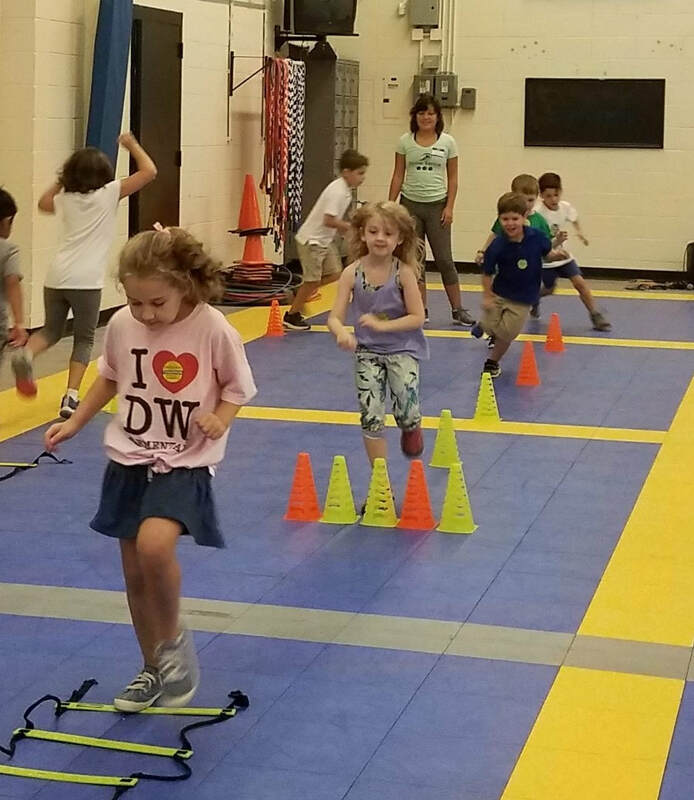 TEAM CHALLENGES HAVE STUDENTS WORKING TOGETHER TO ACHIEVE GOALS. 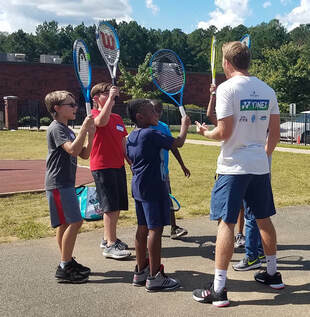 WE LOVE TEACHING TENNIS TO KIDS! TENNIS IS A SPORT THAT KEEPS YOU EXERCISING FOR YOUR WHOLE LIFE! OUR TENNIS STUDENTS HAVE LOTS OF FUN, BEGINNER - ADVANCED ! ​Strike Tennis was selected by USTA to be a part of NET GENERATION and is also sponsored by PTR, HEAD & YONEX.